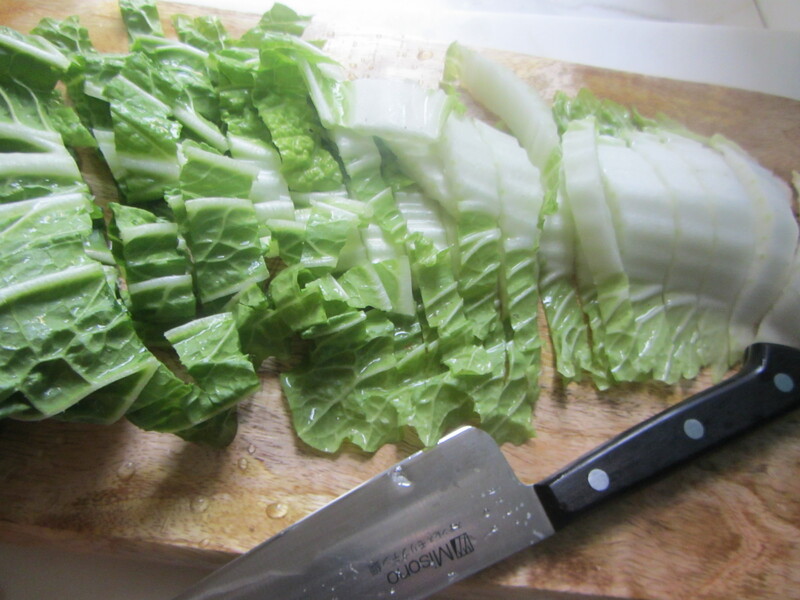 I went to the green market and found a large Napa cabbage with the greenest, crispiest leaves I’ve ever seen. 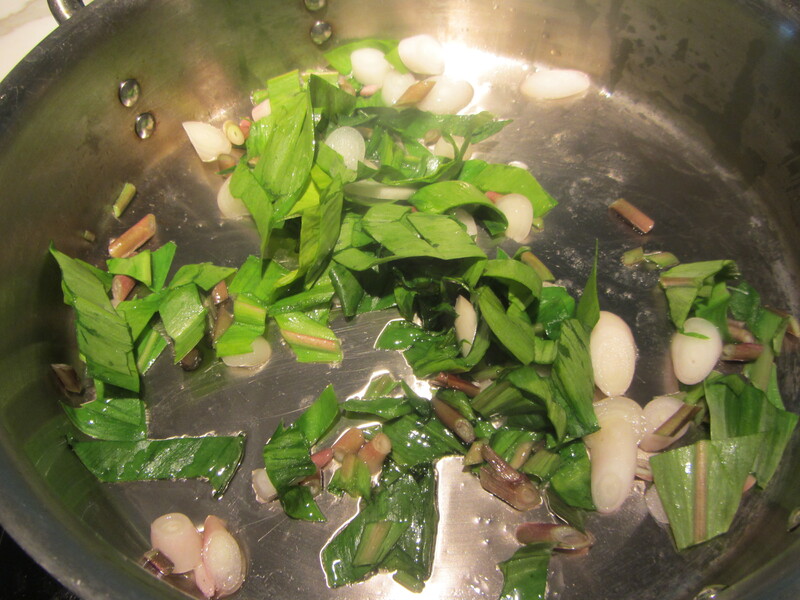 Also abundant: ramps or wild leeks. Ramps smell like the forest floor, where they are harvested at this time of year in this area. 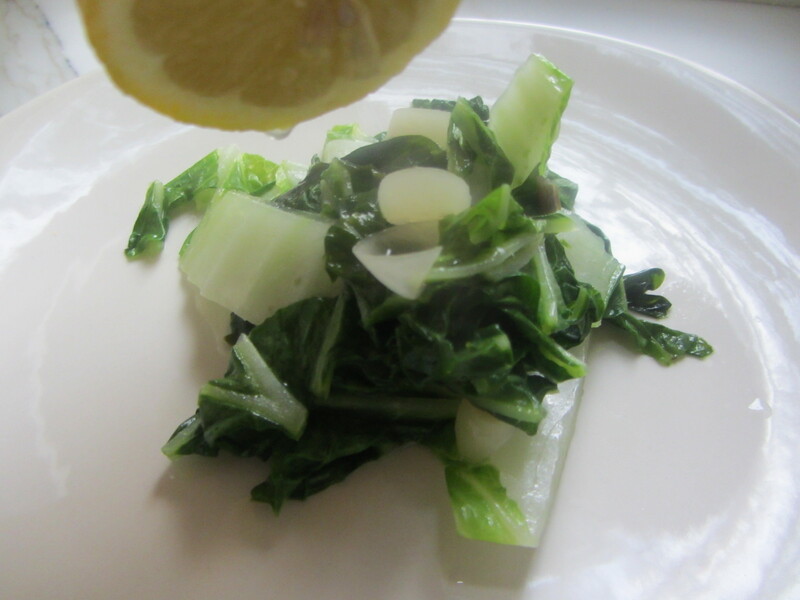 Spicy like leeks, they have a green woodsy flavor that complements the spiciness. 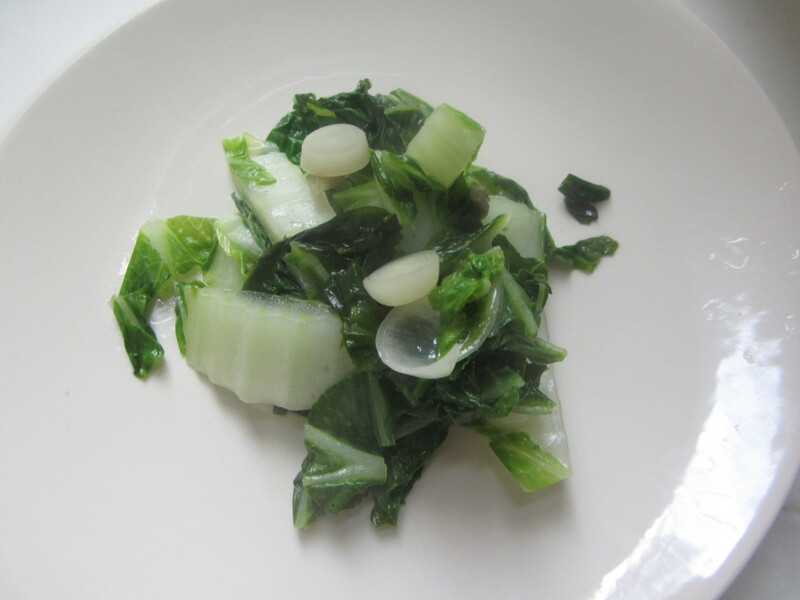 Ramps are quite delicious on their own, and here I sautéed them with Napa cabbage. The result: a dish with depth and unexpected flavors. Process Trim the ramps and rinse them. Cut the whole ramp – bulb, shaft and leaves – into strips. and set aside. Heat the oil in a medium to large stainless steel skillet. 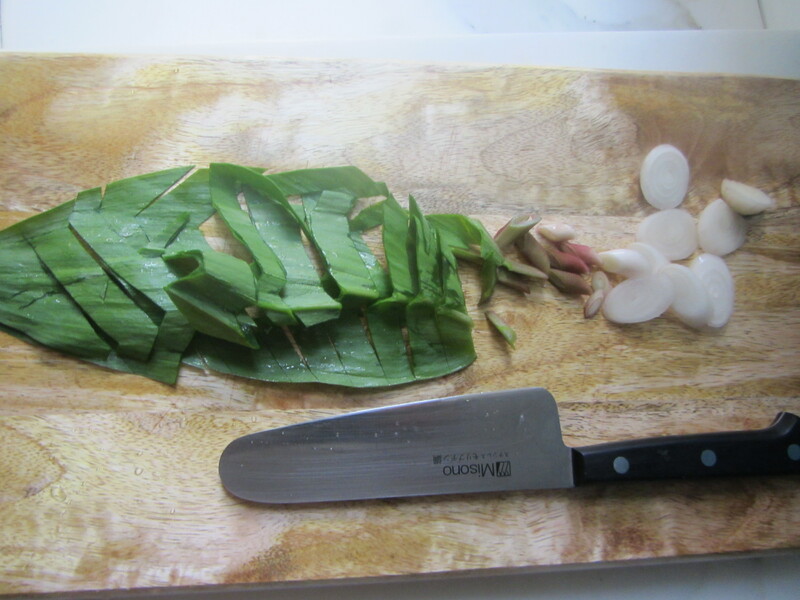 Add the ramps and allow them to wilt (this will take about 3-5 minutes). Add a pinch of sea salt. 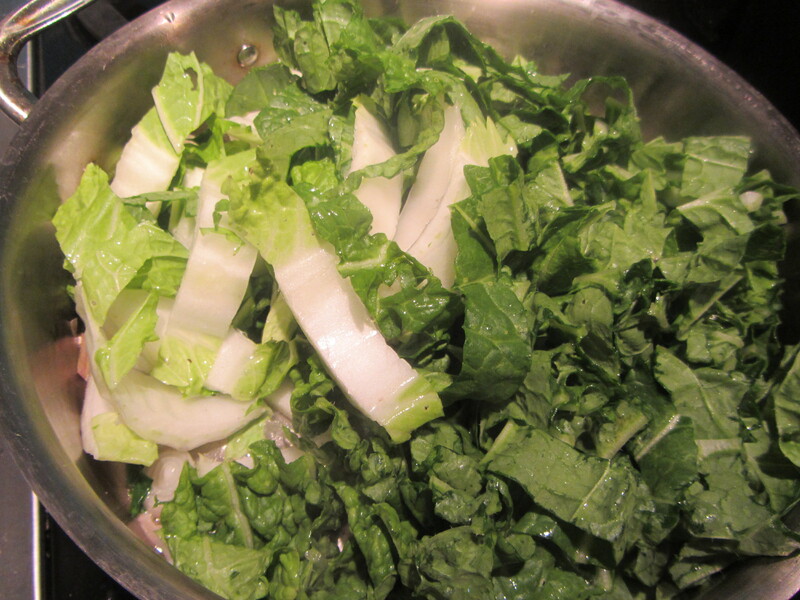 Cover the ramps with the Napa cabbage and use cooking chopsticks to sauté the two vegetables together. When both are wilted but the cabbage still a bright green, remove from pan. Serve on individual plates. Squeeze a half lemon over each dish. You can garnish this dish with fresh sliced peaches.